Kantanka Automobile Ltd during his campaign season in 2020. 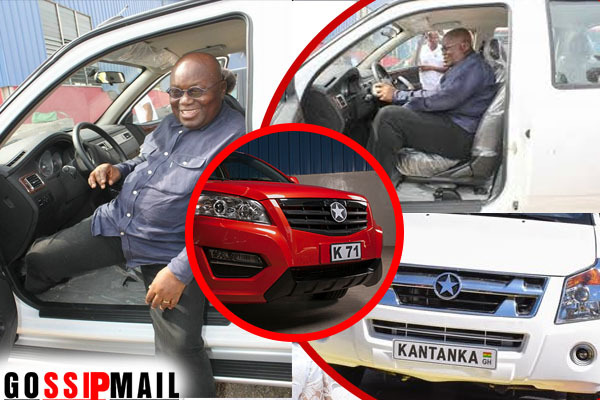 Meanwhile, the safety of the Kantanka vehicles has been approved by Ghana's Drivers Vehicle Licensing Authority (DVLA) as the Ghana Police Service is said to be already using one of the pick-up trucks. The first batch of 35 vehicles made by the Kantanka Automobile Manufacturing Company, an indigenous Ghanaian vehicle-manufacturing company, was inaugurated on November 27 as the company is expected to increase production to 70 vehicles by January 2020.